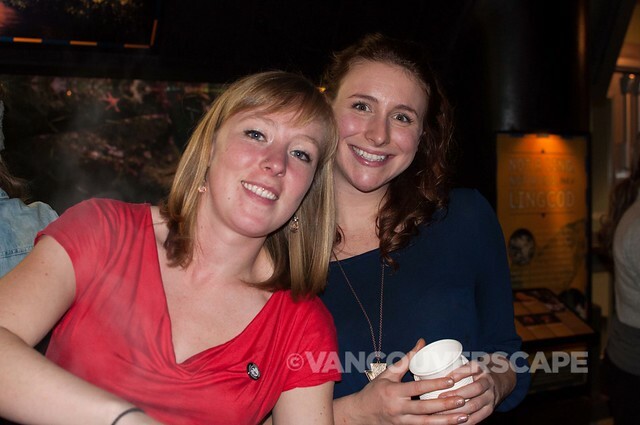 Vancouver’s Sixth Annual Ocean Wise Chowder Chowdown is by far one of my favourite events to attend. 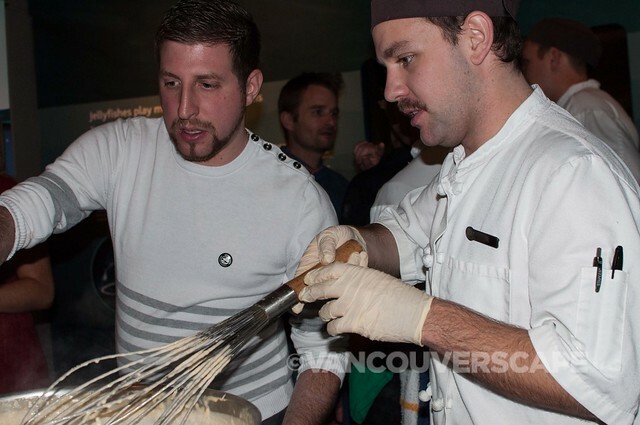 Not only do some of Vancouver’s top chefs go into friendly battle preparing some of the finest seafood chowder around, but lively conversation around the aquarium along with paired craft beers in hand draws a packed crowd – at least for the past four years I’ve been there. 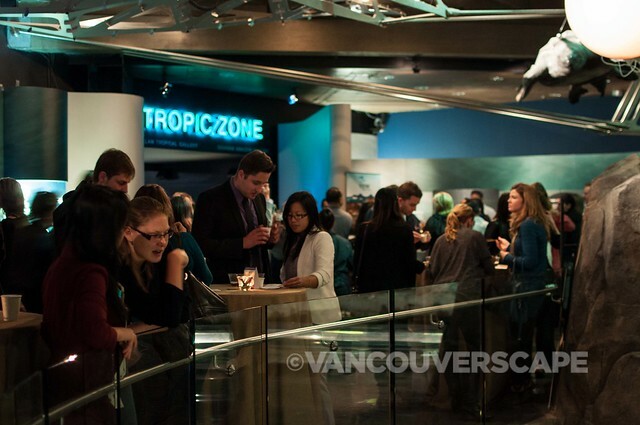 Last night was no exception: the event was fully sold out. Chowder supremacy was determined by a panel of judges including Guy Dean (Vice president and chief sustainability officer, Albion Fisheries Ltd), Rob Clark (co-owner of The Fish Counter and Ocean Wise chef partner), Chester Carey (certified cicerone), Sid Cross (food and wine aficionado), Andrew Morrison (Scout Magazine), and food and wine journalists Tim Pawsey and Jamie Maw. 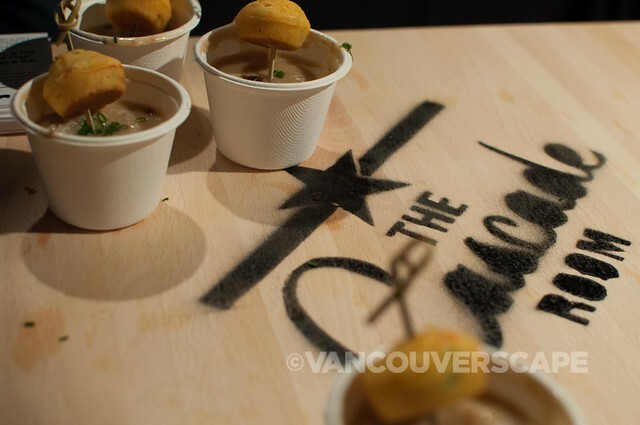 13 top Ocean Wise chefs from BC joined the sustainable seafood movement by presenting their ocean-friendly seafood chowders paired with beers to an eager crowd of 600 people. 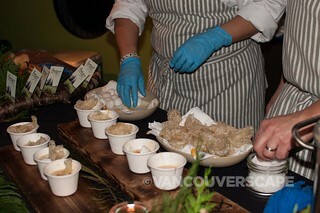 The diverse ingredients of the chowders ran the spectrum, from Ocean Wise Dungeness crab chowder with salmon bacon to Ocean Wise smoked oysters and chanterelle chowder. 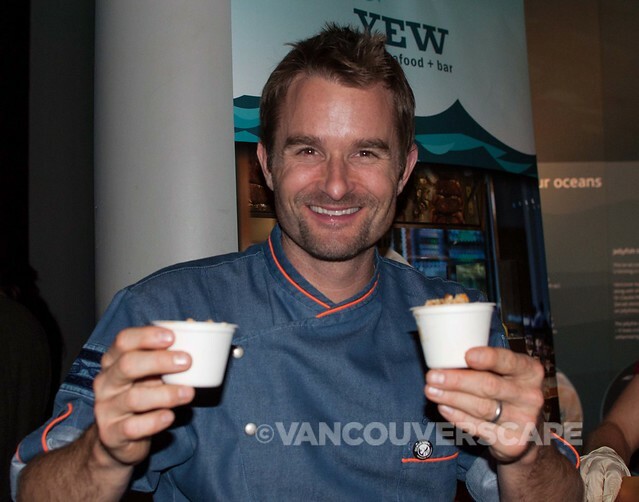 Chef Chris Whittaker of Forage was crowned 2013’s Vancouver Aquarium Ocean Wise Chowder Chowdown Champion for the second year running. 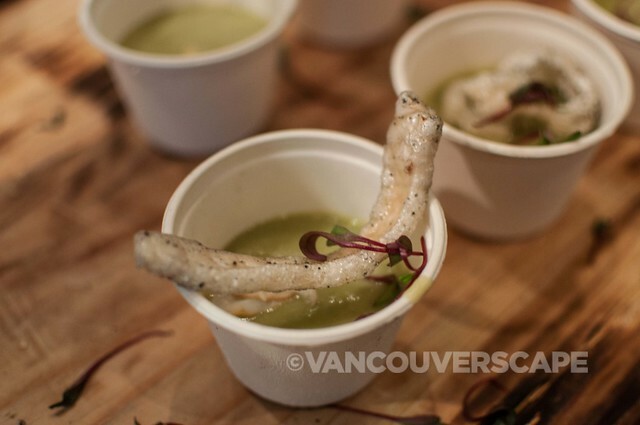 His creamy BC Spot Prawn Chowder, with flavours of bacon, white wine, and thyme, finished with smokey chicharrón and poached egg bowled the judging panel. 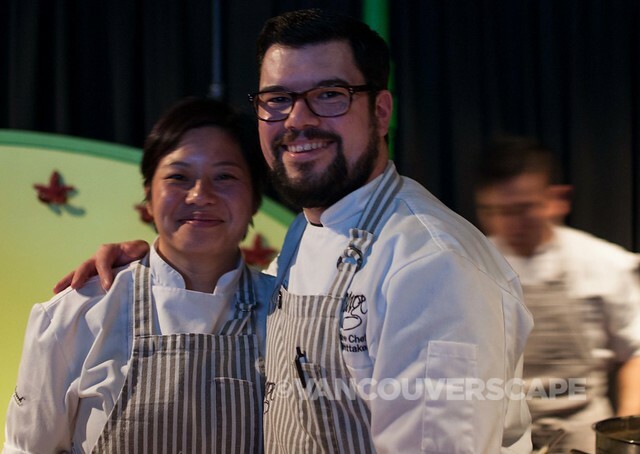 Chef Ned Bell of YEW Seafood + Bar was chosen for the People’s Choice award. 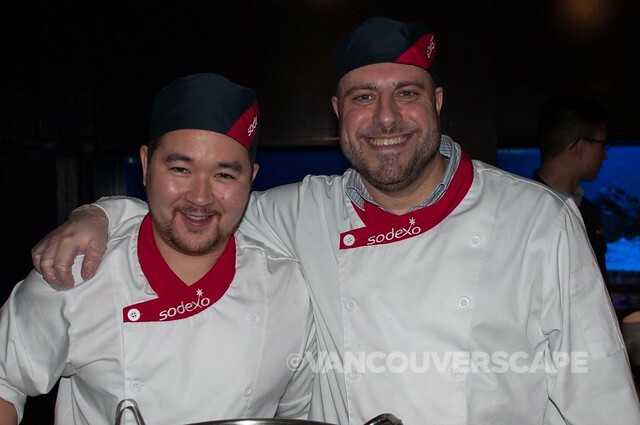 Chef Bell’s entry into the competition was The Big Red, a steamy, mouth-watering bowl of Ocean Wise humpback shrimp, pink peppercorn cream, and BC Cranberry & Okanagan Apple Relish. Chef Paul Cecconi of Brodo Kitchen and Catering with CodFathers Seafood Market won the award for Best Pairing – Outlandish Mussel-Saffron Chowder paired with Red Racer ESB beer by Central City Brewers and Distillers. 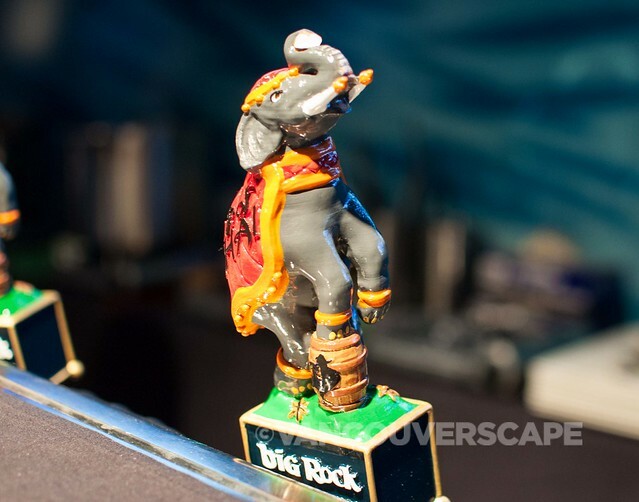 A list of participating chefs and their bios can be found here. 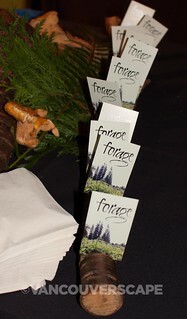 More photos of the evening can be found here. Overfishing is the single biggest threat our oceans face today. 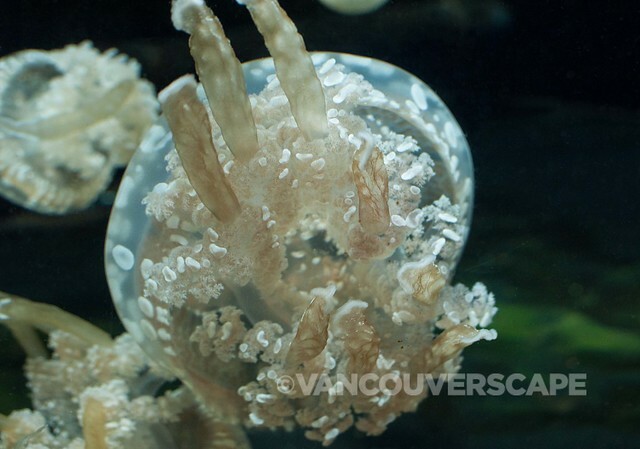 The Ocean Wise symbol next to a seafood item is the Vancouver Aquarium’s assurance of an ocean-friendly seafood choice. With over 3,200 Ocean Wise partner locations across Canada, Ocean Wise makes it easy for consumers to make sustainable seafood choices that ensure the health of our oceans for generations to come.